World famous for the sugar white sand and emerald hued waters, Pensacola Beach has received countless awards and accolades as one of the top beaches in the US. 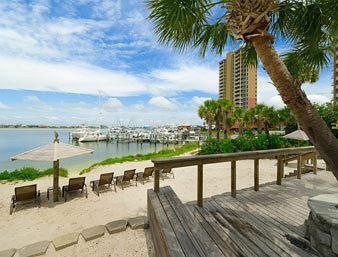 With endless fun and relaxation paired with affordable hotels and condo style accommodations, a vacation to Pensacola Beach is ideal for both couples and families. Cheap Pensacola Hotels specializes in offering affordable hotel rooms from a variety of sources. Unlike typical hotel booking websites, we have partnered with a large selection of accommodation providers and in some cases directly with the hotels to offer the best priced nightly room rates. Looking to head east a little? 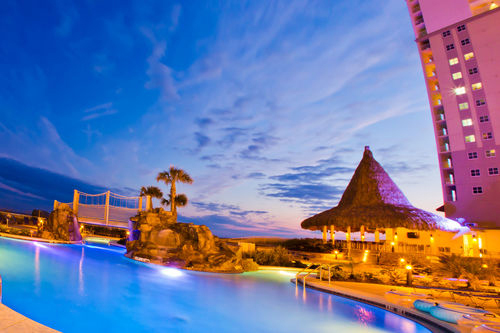 Check out Cheap Destin Hotels! Days Inn PensacolaBeachfront with free wifi and close to nightlife and restaurants, the Days Inn is one of the most affordable hotels on the beach in Pensacola. Swim in one of the two beachfront community pools and partake in the free breakfast. 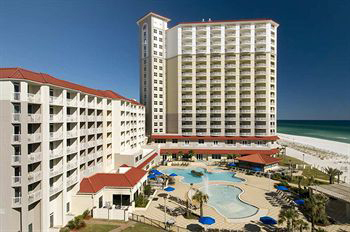 Hilton Pensacola BeachOne of the most popular beachfront hotels on Pensacola Beach is the Hilton Gulf Front. Large and luxurious with outrageous views and an awesome pool-side bar, consider the Hilton for your next beach vacation. Book now and save! Holiday Inn ResortThe Holiday Inn Resort is one of the newest hotels on Pensacola Beach. Minutes from the boardwalk and the pier this location is one of the highest rated hotels in the area. Be sure to book online to lock in at the lowest rates. Get ready for some fun! 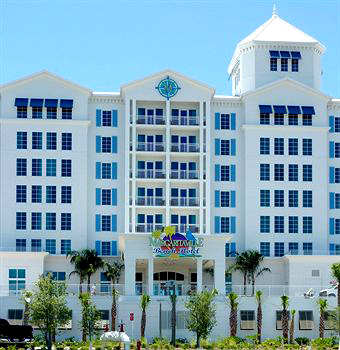 Margaritaville Beach HotelA four star rated hotel on the beach in Pensacola, the Margaritaville Beach Hotel is among the most luxurious hotels in Northwest Florida. Reserve a beachfront suite or save money by opting for a bay-view hotel room. 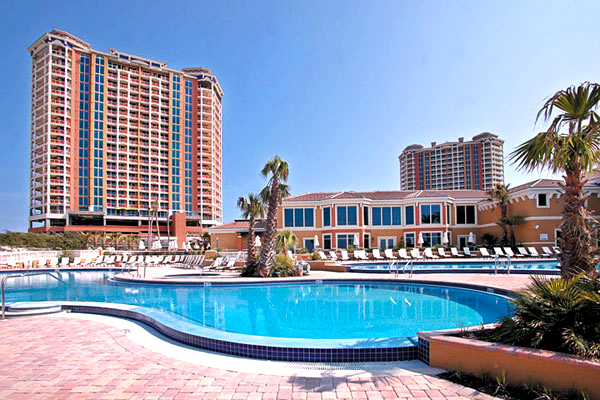 Portofino Resort and SpaThis action packed Pensacola Beach Resort includes an array of luxurious amenities that include a spa, tennis, beach service, surf camps, and a staffed fitness center. The Portofino Resort is hands-down the most upscale locale in the area. 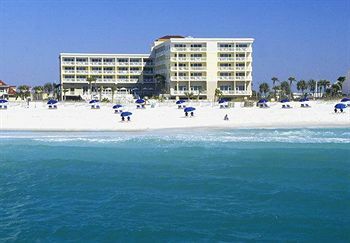 SpringHill Suites PensacolaSearching for a beachfront hotel in Pensacola with an affordable rate? 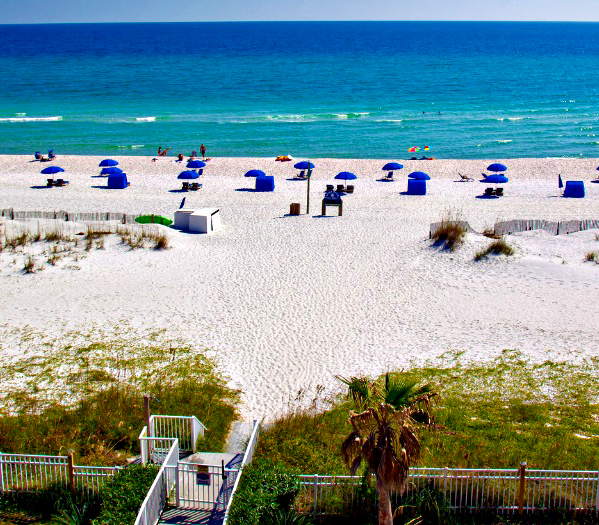 Consider spending your next beach vacation at the Spring Hill Suites by Marriott. This cheap hotel is one of the first to book so move fast if you are considering this hotel. Travelodge Pensacola BeachLocated on the scenic coast of Santa Rosa Island, the Travelodge Pensacola Beach is one of the most affordable hotels listed. With peak rates hovering around $100 the price is shocking considering the beach is just a short walk away. Hampton Inn BeachfrontEnjoy panoramic views from the beachfront Pensacola hotel. Centrally located within walking distance of top attractions including restaurants, watersprots, and the 360 Observation Wheel this hotel is loved by all. Reserve online now! 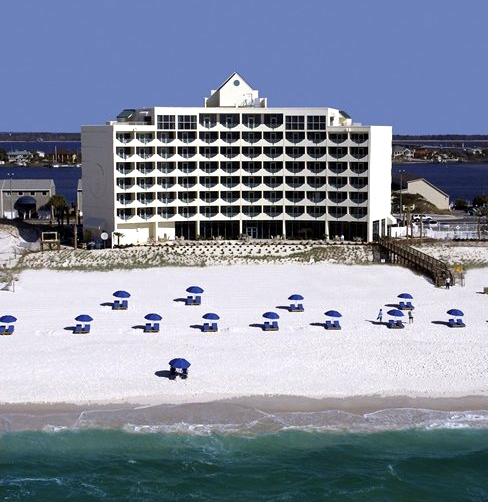 Holiday Inn ExpressBeachfront on the coast of Santa Rosa Island, the Holiday Inn Express Pensacola Beach is an affordable hotel that welcomes both families and traveling couples. Be sure to pack a swim suit to enjoy the zero entry pool & children's splash area. 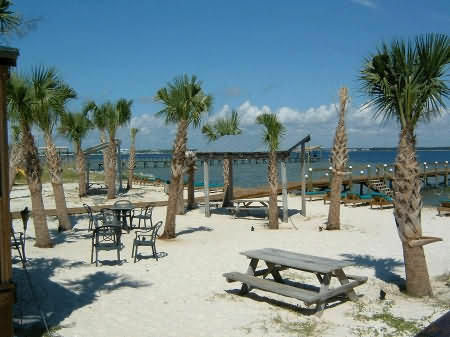 Paradise InnThe cheapest hotel in Pensacola Beach is also one of the islands best kept secrets! 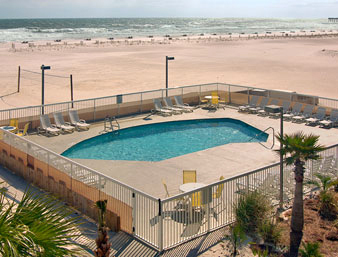 Paradise Inn is sound-side with a sandy beach and is just a short walk to the Gulf of Mexico and its sandy white shores. Lock in at low rates now.